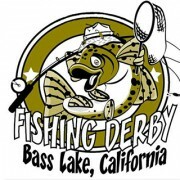 BASS LAKE – Anglers have a chance at snagging a portion of $55,000 at the 33rd Annual Bass Lake Fishing Derby Saturday, May 3 and Sunday, May 4. The annual event is sponsored by the Bass Lake Chamber of Commerce, and kicks off the summer season at the popular lake. “This is a really fun event that is a great way to start the busy season here at Bass Lake,” said Michelle Miller with the Bass Lake Chamber of Commerce and Miller’s Landing Resort. More than 1,000 tagged rainbow trout will be released in to the lake prior to the tournament, each worth varying amounts. There will be 847 fish worth $20, 150 worth $100, 1 fish will net a lucky angler $5000, and two “grand prize” fish will be worth $10,000 each. “All in all, entrants have a good chance of walking away with a nice payday, Miller said. Registration costs $25 per individual or $60 for a family consisting of spouses and up to three children under the age of 16. To learn more or to register, visit www.BassLakeChamber.com or call 559-642-3676.